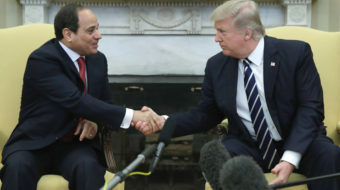 WASHINGTON—In their second summit at the White House, President Trump met Egypt’s military dictator, Abdel Fattah el-Sissi, on April 9, praising him for being a “great president who has been doing a fantastic job.” Meanwhile, earlier that day, members of the U.S. Congress, human rights organizations, and activists at a hearing condemned el-Sissi’s human rights record. 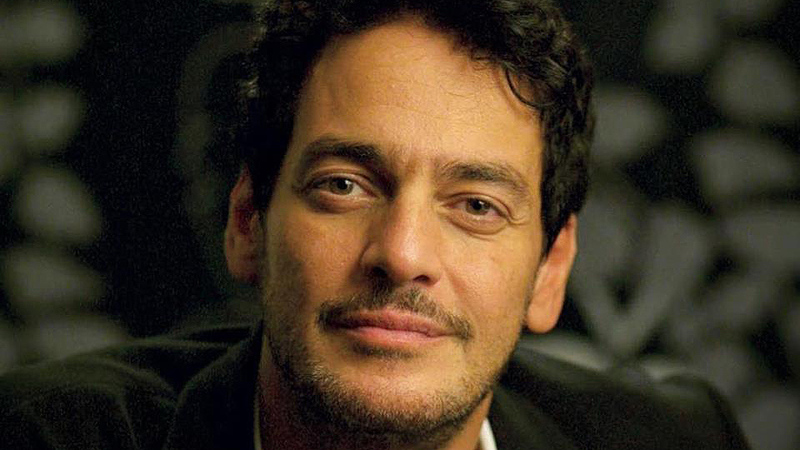 Egyptian actor and UNICEF Goodwill Ambassador Khaled Abol Naga joined the group. In his testimony, Abol Naga criticized the miserable human rights situation in Egypt under the military coup led by el-Sissi. 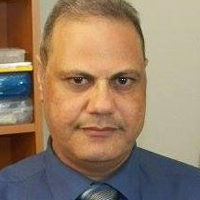 Abol Naga, who was born in Cairo in 1975, received an engineering degree from Ain Shams University in that city. He also studied theater and drama at the American University in Cairo and later pursued studies acting, cinematography, and directing in the United States. Abol Naga, who started his professional acting career in 2000, is recognized for his work across Egypt. He has been appointed to the juries of numerous local and international film festivals since 2008 and has also acted in several English-speaking roles and participated in many European festivals, where he received various awards. Abol Naga has used his status to promote awareness regarding democracy, religious tolerance, children’s rights, and adolescents’ development, particularly in the Middle East. In 2007, he was appointed a UNICEF Goodwill Ambassador. In January 2011, Abol Naga supported millions of Egyptians who protested in Tahrir Square demanding bread, freedom, social justice, and human dignity. While former President Hosni Mubarak’s regime was using public figures to undermine and defame that revolution, Abol Naga was one of a few celebrities who joined the protesters. He participated in the mass demonstrations that led to the removal of Mubarak. Resisting potential religious fascism, Abol Naga participated in the demonstrations of June 30, 2013, that were subsequently used by the military to provide cover for its coup against the first elected president, Mohamed Morsi. Like many other people, Abol Naga saw that a repressive military dictatorship in Egypt was not what opponents of right-wing religious fundamentalism were fighting for on June 30. The military, led by el-Sissi, was just using the protests to give legitimacy to their coup. Because of the increasingly miserable situation in Egypt since 2013, Abol Naga has been advocating for Egyptians seeking freedom and democracy. He criticizes el-Sissi and his regime for human rights violations and proposed constitution amendments that could potentially keep el-Sissi in office until 2034. 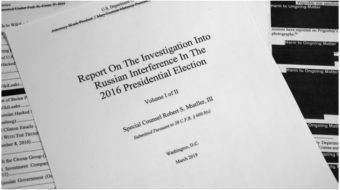 It’s “a very long time of dictatorship that is planned,” according to Democratic Rep. Ilhan Omar of Minnesota, who was at the hearing in Washington on April 9. Abol Naga said he was not speaking only on behalf of Egyptians, but of all humanity. “I should be the voice of those who have no voice, and I hope you all agree with that,” he said. He said he was willing to face consequences up to and including the ones faced by Washington Post journalist Jamal Ahmad Khashoggi, who was murdered by the corrupt Saudi regime with the full knowledge of the Trump administration. As a result of his advocacy for human rights in Egypt, Abol Naga has faced defamation campaigns by the Egyptian state-owned media. He was expelled from the actors’ union and accused of betraying the country. Moreover, the government has filed suit to take away his status as a citizen of Egypt. The campaign for human rights in Egypt has a tough road to travel. 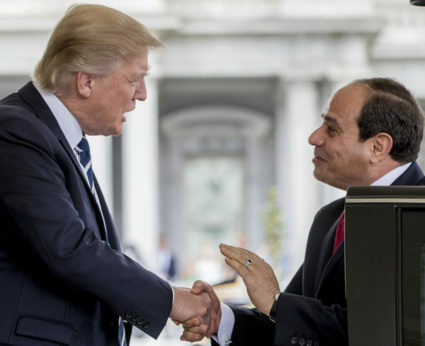 The strong support for el-Sissi by the Trump administration and some other Western governments is making the battle that much tougher. Abol Naga and others involved in the fight, however, seem determined to continue until they win.